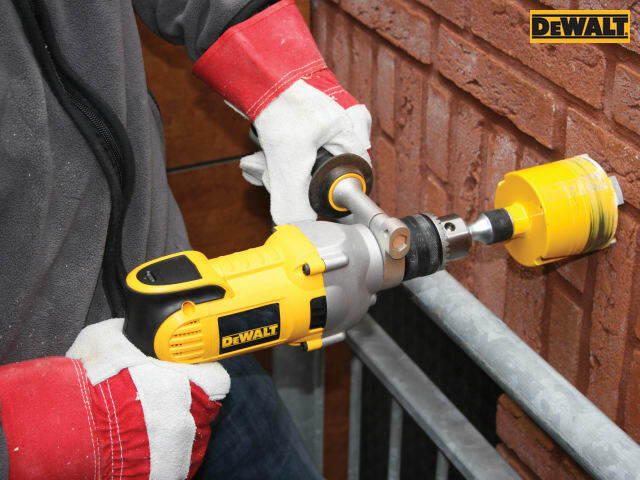 The DEWALT D21570K Dry Diamond Drill has a new motor which gives improved performance in applications with dry core bits up to 127mmn in bricks or soft masonry. 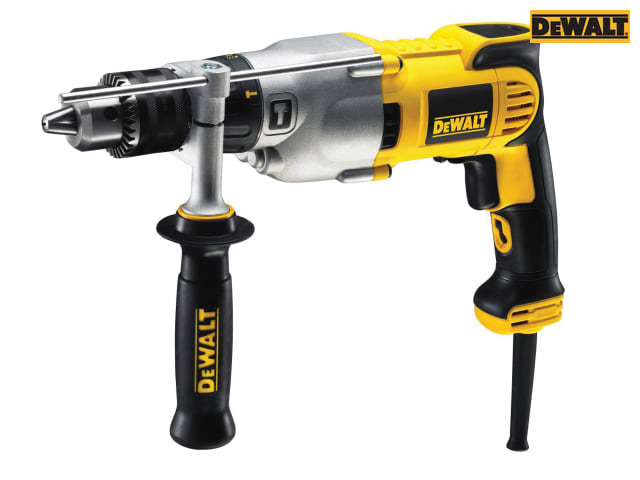 The electronics provide e-clutch, power-up and overload protection and the two speed gearbox for increased versatility when drilling in wood, metal and concrete with standard drill bits. 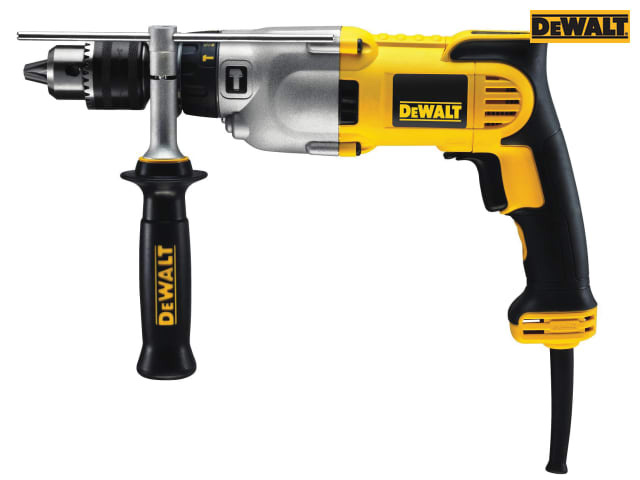 The electro-Mechanical clutch increases user control and protection and the heavy-duty 16mm steel chuck allows quick bit change whilst offering excellent bit retention. It has a innovative mode selection collar which allows intuitive control for optimal performance. Standard Equipment: Multi-Position side handle, Depth Stop, and Heavy-duty Carrying Case. 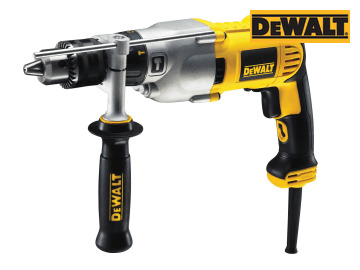 DEWALT D21570K Dry Diamond Drill 2 Speed 1300 Watt 127mm 240 Volt Version.